Refuse is a grueling application for trucks. 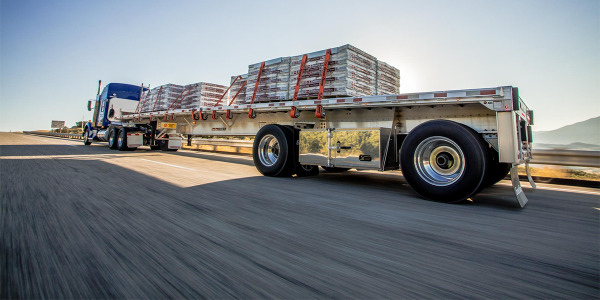 But, as with just about any other kind of fleet, the pressure is on to do more work with fewer workers and more powerful and capable equipment. 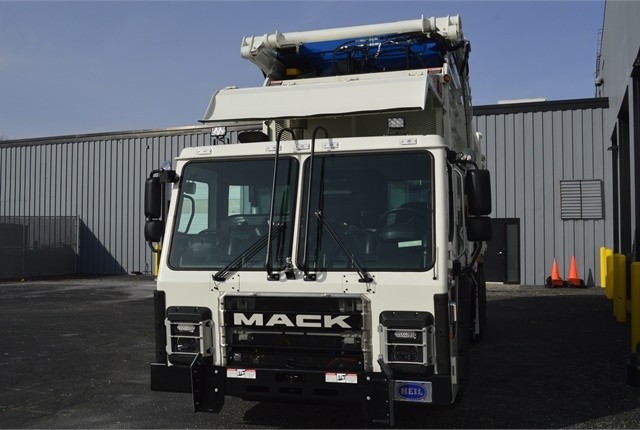 And these trends are behind many of the design points on Mack’s newest refuse truck, the Class 8 LR model. 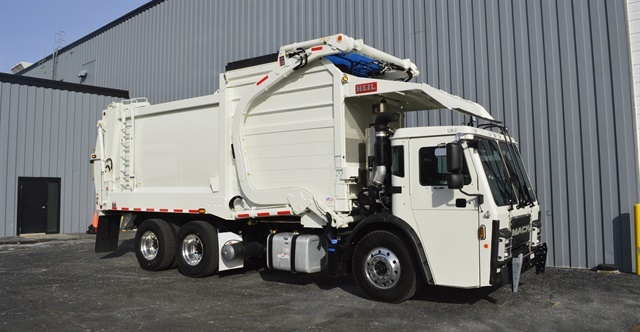 The LR debuted at WasteExpo back in 2015 and got some updates last fall. 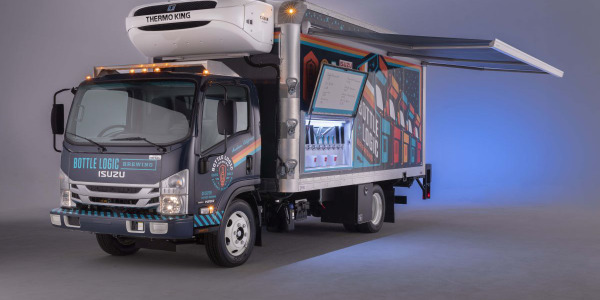 But for various reasons, no trucking journalist had been given the opportunity to examine the new truck up close and conduct a test drive – until now, when Mack graciously offered HDT the opportunity to do just that. The conditions on the ground weren’t perfect. A fast-moving snowstorm swamped Mack’s history home in Pennsylvania’s LeHigh Valley the day I flew in for my LR test drive. So I’d be dealing with snow, ice and temperatures hovering in the low 20s. And while Curtis Dorwart, Mack’s highly knowledgeable vocational brand manager, noted that these were pretty typical conditions for refuse fleets in northern states and Canada, we still – thankfully – opted to do our walk-around and familiarization with the LR in a heated garage next to Mack’s impressive museum at its Customer Center in Macungie. First off, Dorwart noted that the “LR” nomenclature for the truck simply stands for “Low Rider,” because keeping the vehicle low to the ground was a primary design point when Mack engineers went to work. Even with increasing numbers of partially automated, hydraulic side-boom trucks lifting and dumping trash bins, Dorwart noted that refuse drivers still climb in and out of their trucks multiple times a day during a shift. To that end, he says, the LR features an ultra-low ground clearance of just 15-1/2 inches, which makes it less arduous and safer for drivers to enter and exit the cab. This low vehicle height is combined with an array of different drive configurations, including a right-hand, standup option, with the LR’s top speed limited to 20 mph when that station is in use. Overall, the truck’s exterior design is remarkably clean, with no exposed wiring and protected hydraulic lines. 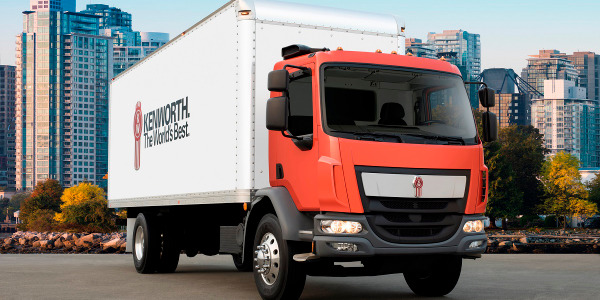 Dorwart says simplifying wire and hydraulic line routing with an emphasis on easier upfitting for the LR is a big reason for the truck’s uncluttered look. Various nods to the tough life refuse trucks live were in evidence as well, including wiper motors that can be serviced or swapped out from a standing position at the front of the truck by simply removing four screws, as well as a front grille and windshield that can be swapped out quickly. 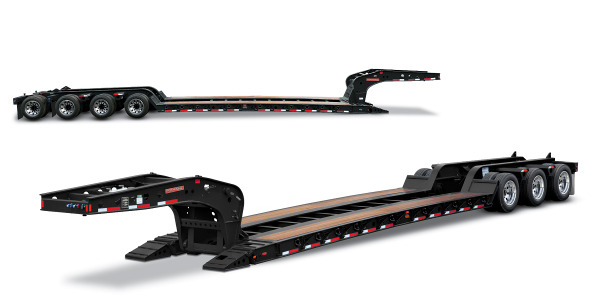 Up above the cab, the roofing sheet metal is designed in a way to act much like a storm gutter on a house and route rain or refuse water away from the front and side windows and cab doors. Both the left- and right-hand operating stations are compact – thanks to the massive doghouse that dominates the middle cab section – but still comfortable. 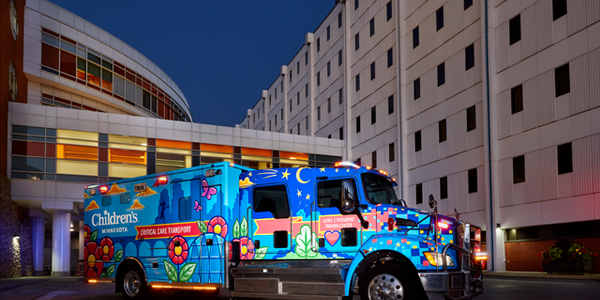 Visibility to all quarters is outstanding thanks to large window sections to the sides and rear of the cab. 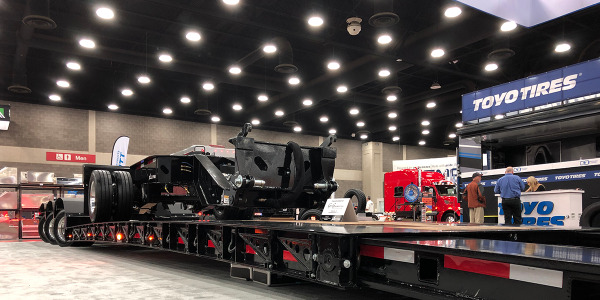 Views forward are excellent as well, as Mack engineers enhanced the LR’s cab-forward (no hood) design by adding wrap-around front glass sections that extend in an unbroken line all the way back to the B pillars. Standard power, memory-programmable mirrors and an array of cameras covering the sides and rear of the truck complete the LR’s visibility emphasis. 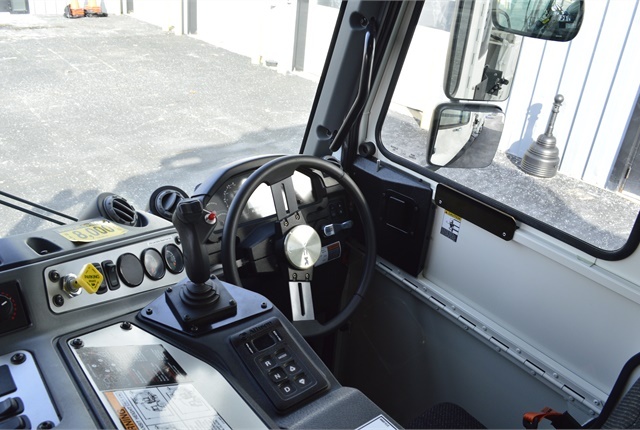 An array of view screens is positioned in the middle of the cab where operators on both sides of the truck can quickly check live video feeds from the safety cameras around the vehicle. Dorwart also pointed out the LR’s automotive style controls, which include a surprisingly small steering wheel and an instrument cluster connected to the tilt steering column. The arrangement is compact, easy to see and ensures clear sightlines to the gauges regardless of where the driver positions the steering wheel. The doghouse top features both the LR engine and a powerful hydraulics system capable of handling the latest side-loading trash receptacle boom arms. Various boom and vehicle controls are located on the top of the doghouse and are within easy reach from both operator stations. 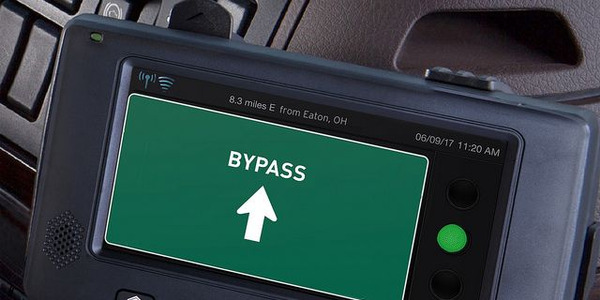 Other new automotive features include a highly effective, in-dash HVAC system that easily kept the cab warm during the cold Pennsylvania test drive to come. Given the massive doghouse sitting immediately to my right, the LR was loud when I finally turned the key and fired up the Mack MP7 diesel lurking underneath. But this is to be expected in a cab-forward truck design like this one. And, it should be noted, Mack engineers did an excellent job at keeping powertrain, hydraulic system and road noises at a minimum. My test truck’s MP7 was rated at 355 hp and mated with an Allison 4500 automatic DRS 6-speed transmission. 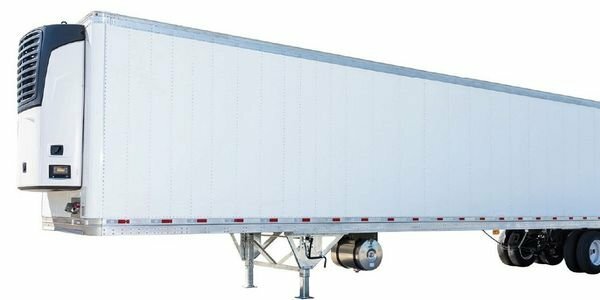 Underneath me were Mack axles and mRide suspension, and air disc brakes, which stopped the truck crisply and quickly with very light application of the brake pedal. Views out of the cab are excellent, and the truck is remarkably nimble and easy to drive at the slower speeds it will spend most of its working life running (although the MP7 engine responds beautifully and accelerates the truck nicely if you put your foot down). Dorwart, who grew up in and around Allentown, suggested a nice cruise through a neighborhood and a typical subdivision as we got underway, and the LR proved easy to handle in that environment. Given the expansive views from the cab, it was simple to spot and avoid common obstacles such as parked cars. And while it was too cold for pedestrians, the live video from the cameras around the truck gave me confidence I’d be able to pick them up and easily monitor them, as well. A couple of runs into some tight cul de sacs showed off the LR’s tight turning radius, courtesy of the truck’s 45-degree wheel cuts. The air disc brakes were a nice addition, as well, delivering smooth, safe quiet, stops. All in all, the LR is extremely well-mannered at residential speeds, which is a definite plus for any refuse truck. Of course refuse trucks don’t live their entire lives at low speeds. So Dorwart and I took the LR on an interstate run on I-78 over to Allentown and back. The truck was unloaded, so the ride was predictably bumpy. But the LR didn’t feel top-heavy at all, and didn’t wander around in the lane – a trait I notice a lot in cab-forward designs. There weren’t many opportunities to get out of the right-hand lane and pass over vehicles. But the LR easily held its own at highway speeds, and the Mack MP7 had plenty of reserve power on hand when I did need to get around someone. Mack has a pretty impressive share of the refuse market nationally, and Dorwart says response to the LR has been overwhelmingly positive since its debut. And it’s not hard to see why. 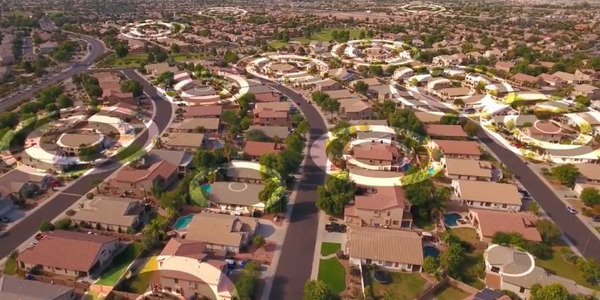 Mack engineers listened to refuse fleets, took note of emerging trends in that market segment and delivered a thoroughly modern, detail-oriented design that will serve both the current, and future needs of those customers well.